Group therapy can be incredibly effective in helping people with addictions to work through behavioral and psychological barriers to success in recovery. A safe space to discuss and contemplate the consequences of addiction can help individuals open up and experience growth rather than judgment. There are six reasons why group therapy can work wonders for individuals with addictions in recovery. Sharing thoughts and emotions about a similar experience can have a positive impact on individuals with addiction. It can be mutually beneficial for everyone in a group to feel accepted for the individual qualities brought to the group but also being accepted without judgment. Addiction can lead people to feel isolated and alone. Group therapy can provide support with positive energy and peer networks to demonstrate an alternative to addiction. In addition, there is a sense in a group setting that others have achieved some success so it can be done in other people’s situations also. Keeping a positive frame of mind is key for individuals in recovery. Role models come in all shapes and sizes but addiction hits people the same in many aspects of life, relationships, finances even when individual situations differ. This shared experience provides a window of opportunity for role models to understand what it is like but also provide hope. People in a group understand the stigma and attitudes which surround alcohol and substance abuse. Role models can be helpful at refusing to accept excuses made by an addict which can keep that person from experiencing a healthy recovery. Group support can provide a space where individuals feel connected and secure. 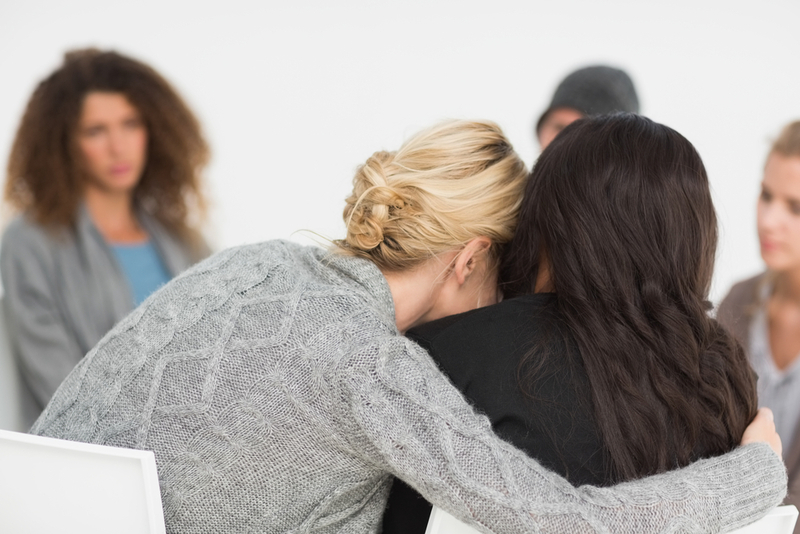 Knowing a person will be accepted no matter what is not only a relief, but important to recovery because it provides space for communication to occur. Groups can be a microcosm of the larger, outside world where the work done can help build security and a sense of belonging to build confidence. Rules are an integral part of groups work. For many individuals with addiction, boundaries were pushed, rules ignored and any reason to continue the addiction was given. Group therapy requires adherence to rules which provides a structured environment in which to thrive. Recovery begins when a person with addiction understands the rules cannot be broken and agrees to adhere to them for the sake of one’s own recovery and others. When an entire group of people is focused on a common goal, a life beyond addiction is finally imagined. Hope is the most important perspective a person in recovery can have. Each person in the group can inspire the other to continue moving forward even when things are challenging (as often happens in recovery). Hired Power provides resources and tools to support an individual in recovery.